Make a statement in this satin jumpsuit. 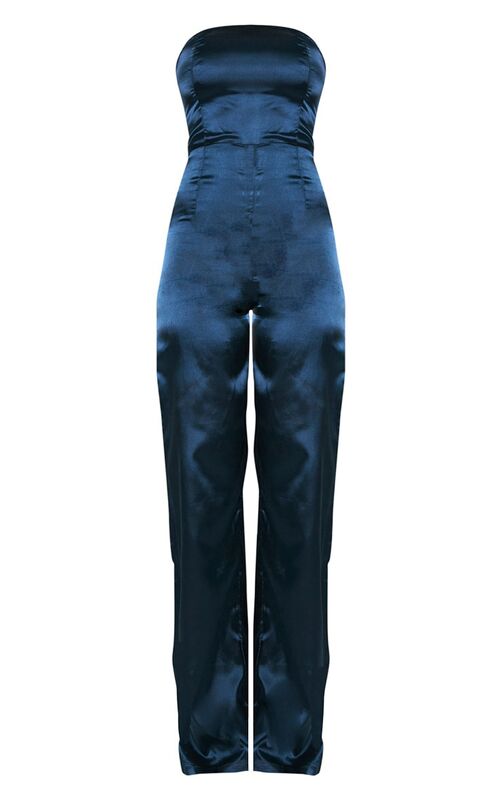 Featuring a navy satin material with a zip fastening and a wide-leg fit. Team this with strappy heels and some statement earrings to complete the look.